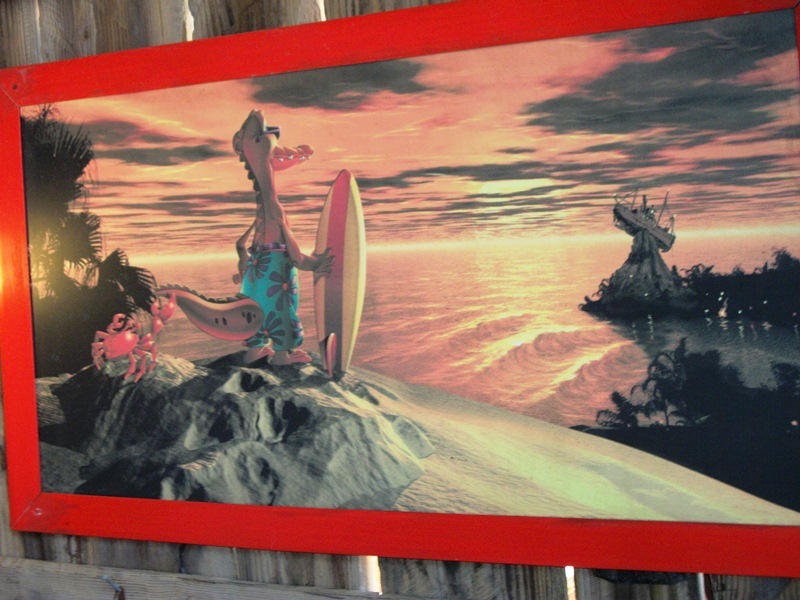 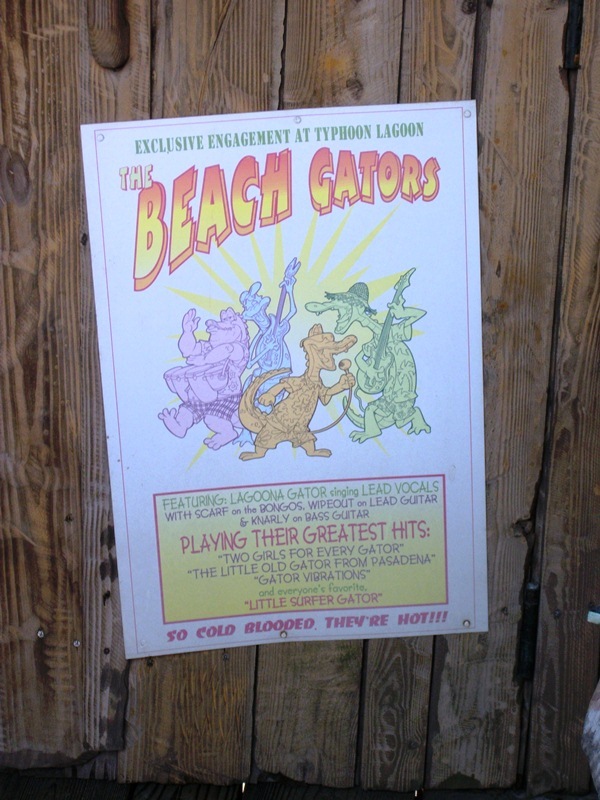 In the late 1990s, in the wake of Blizzard Beach opening with the popular mascot Ice Gator, Typhoon Lagoon gained its own reptilian resident. 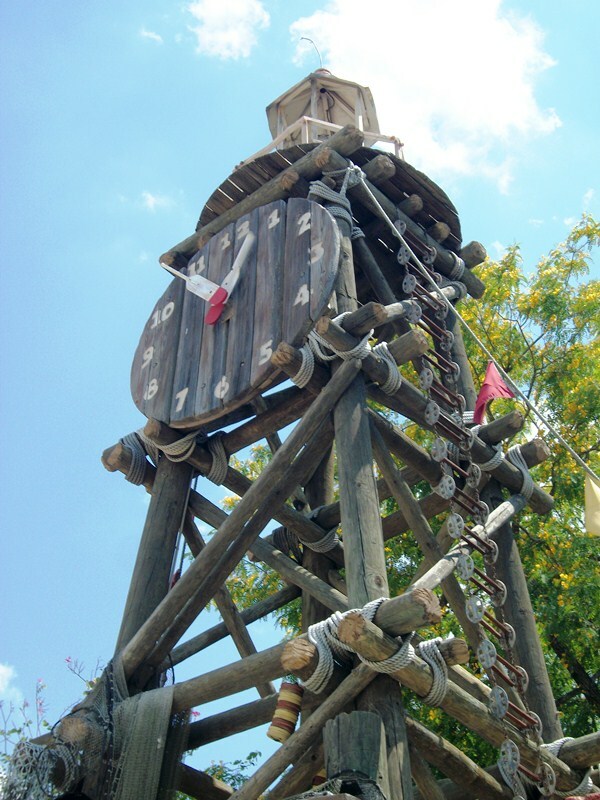 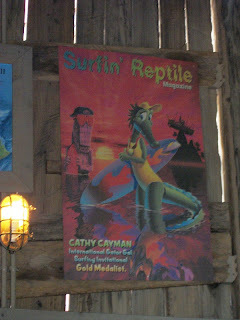 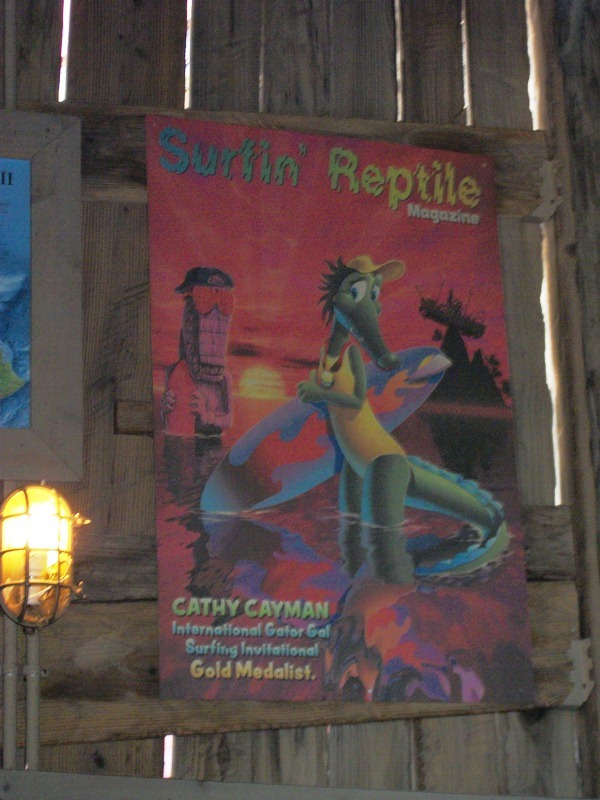 Sand sculptures and other tokens meant to remind guests that Lagoon Gator is around, if not directly seen, throughout the water park. 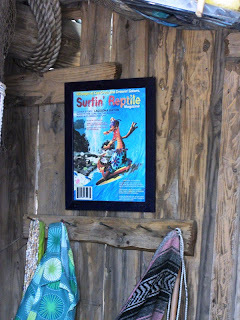 When he’s home, this scaly surfer relaxes in the Board Room. 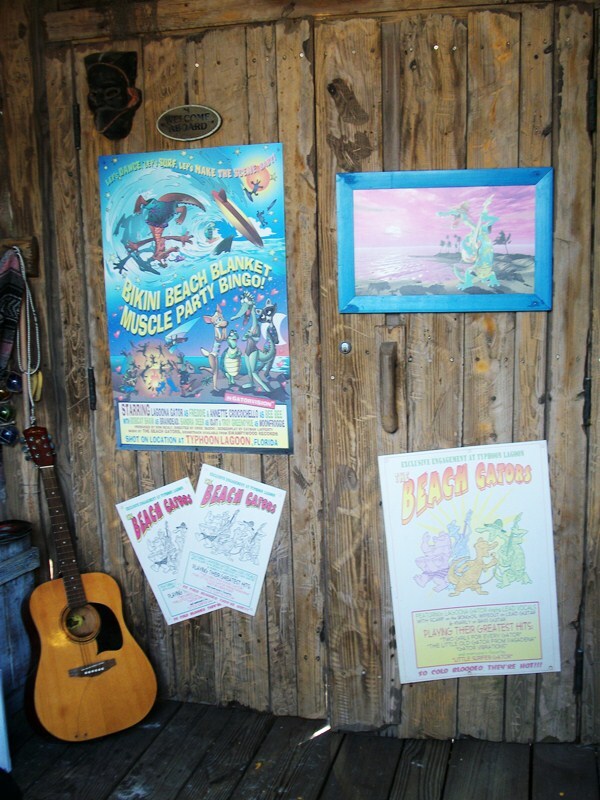 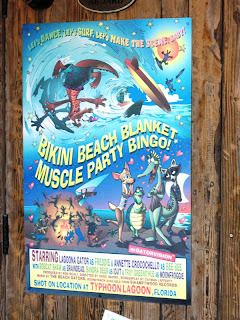 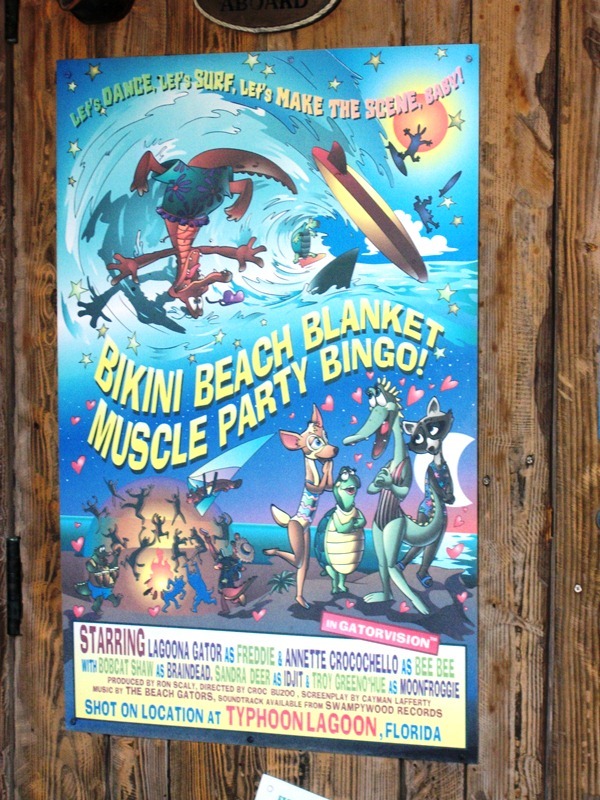 Not your typical conference room, the Board room features memories of not only Lagoona Gator’s surfing career but also his celebrity endeavors, such as his film career (Bikini Beach Blanket Muscle Party Bingo!) 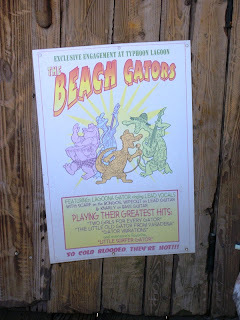 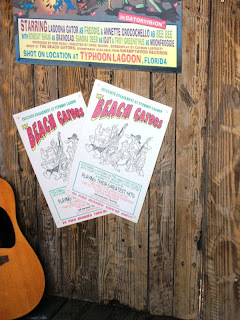 and musical side project (The Beach Gators). 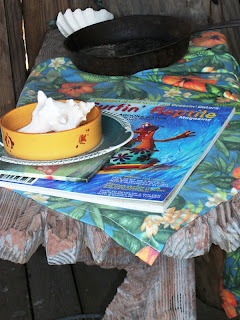 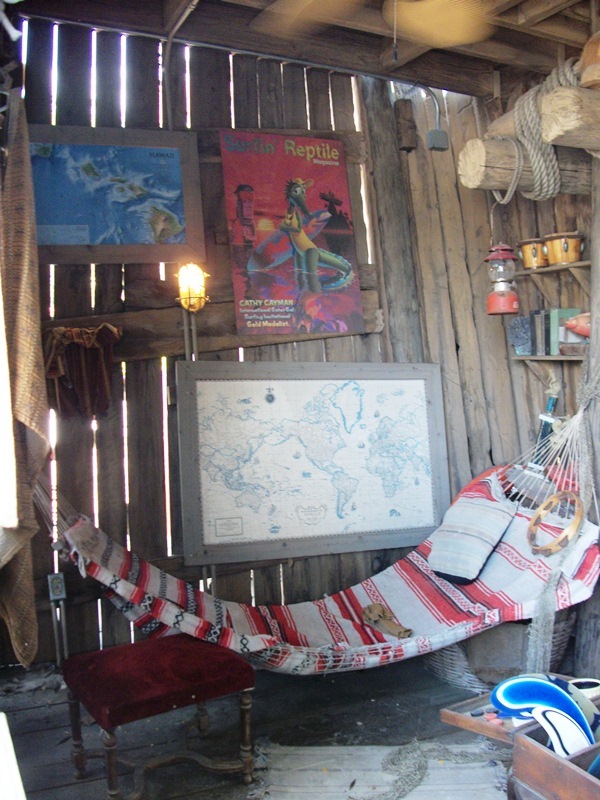 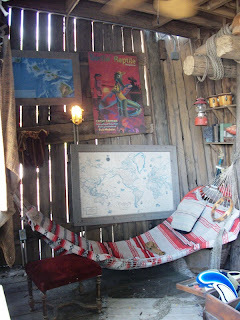 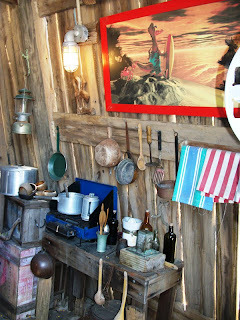 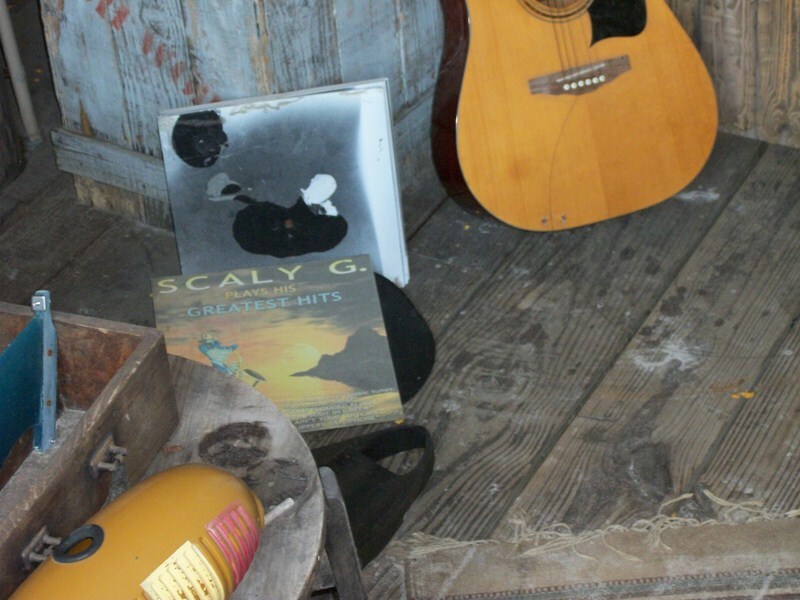 Surfing, from boards to the latest edition of Surfin’ Reptile, is still represented in this hammock hideaway. 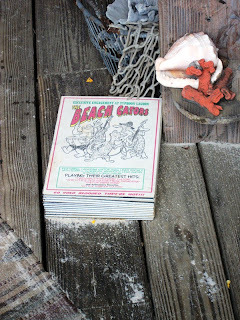 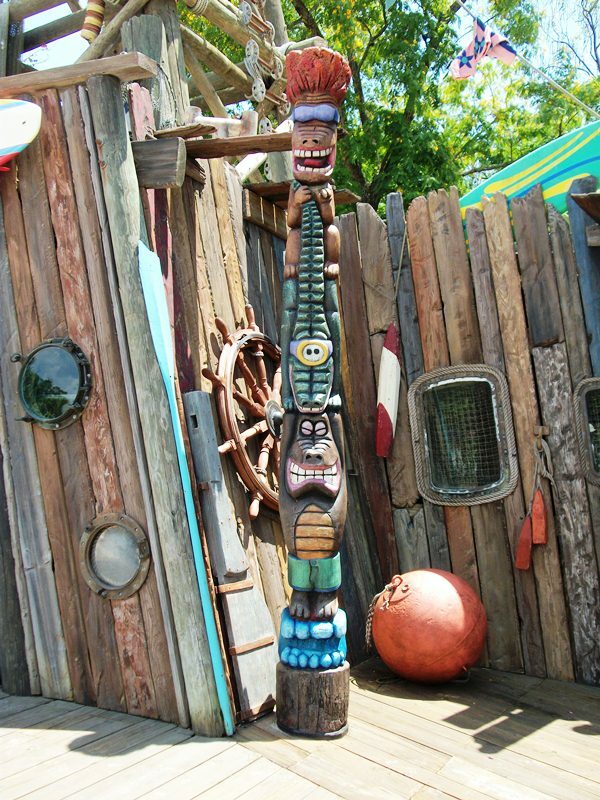 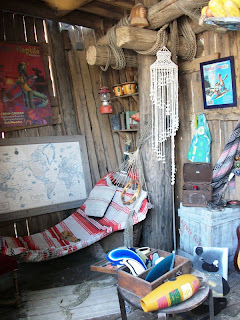 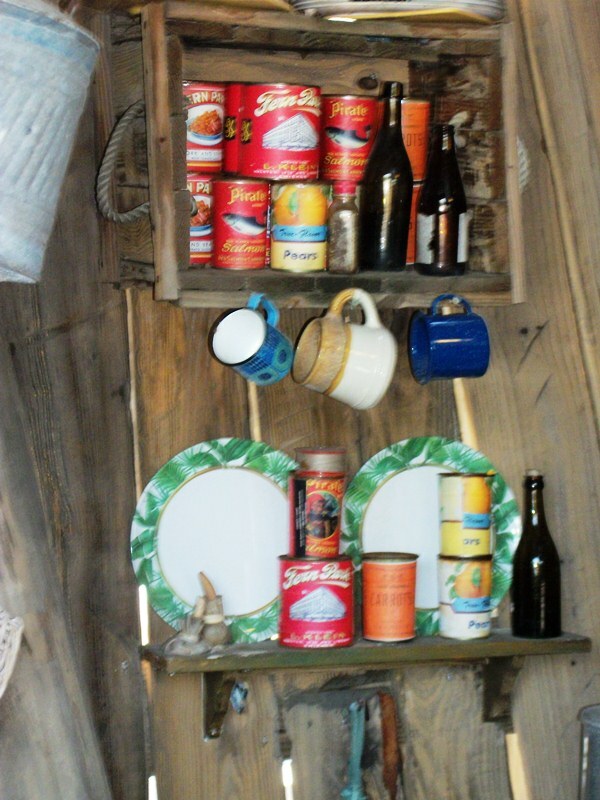 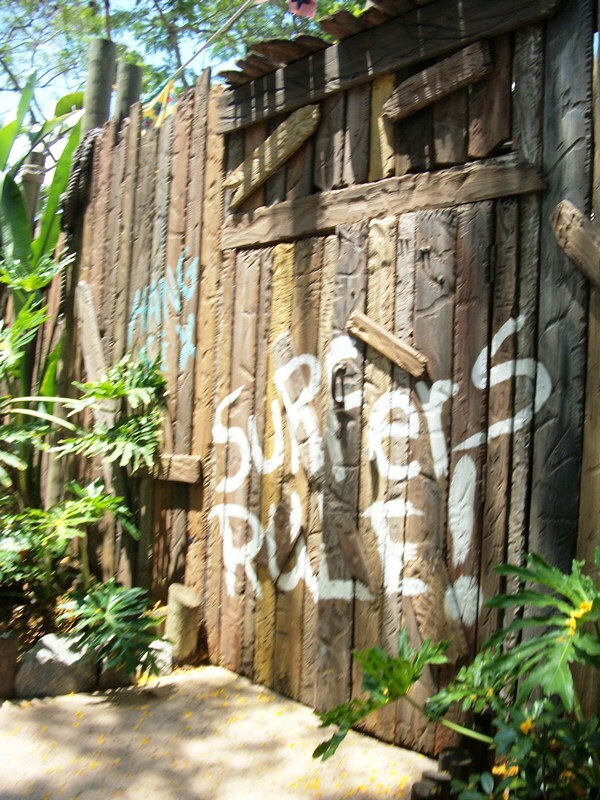 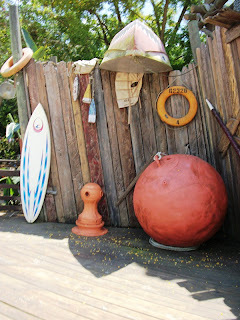 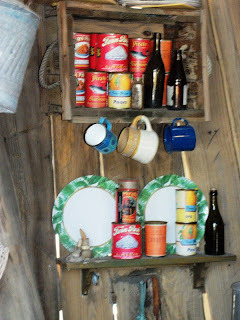 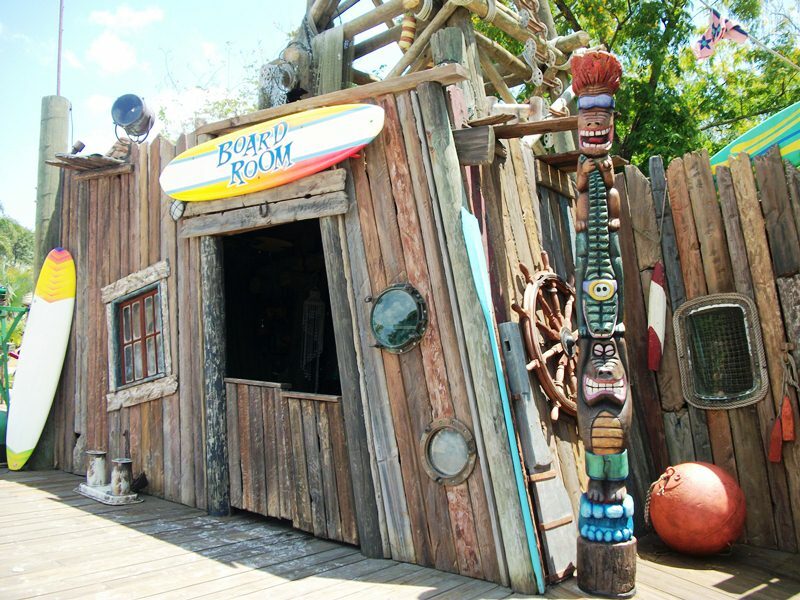 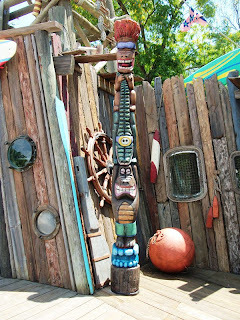 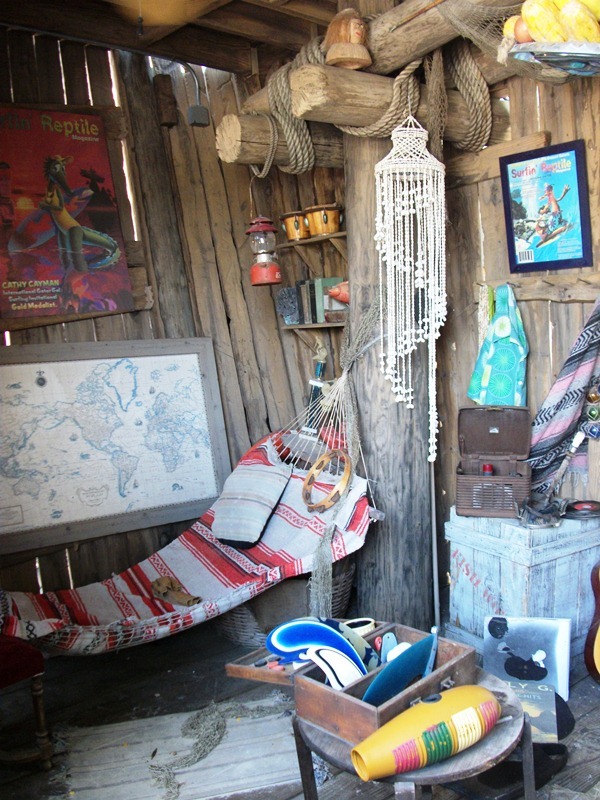 Go ahead, check out Lagoona Gator’s home along the shoreline of Typhoon Lagoon. 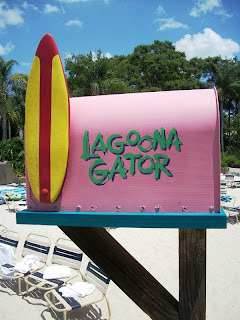 He’s left it open for you to gander at!